Fidget Spinner! In recent months a new trend has taken over the toy industry. Toy stores cant keep up with the demands of this trend, and if you live in North America it is likely you have seen a few kids playing with these. What am I talking about? 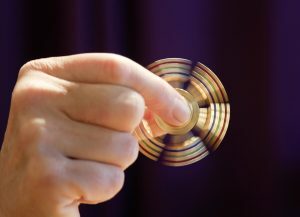 Nothing more and nothing less than a small toy that just spins, it’s name is the “fidget spinner”. So what is this craze all about?